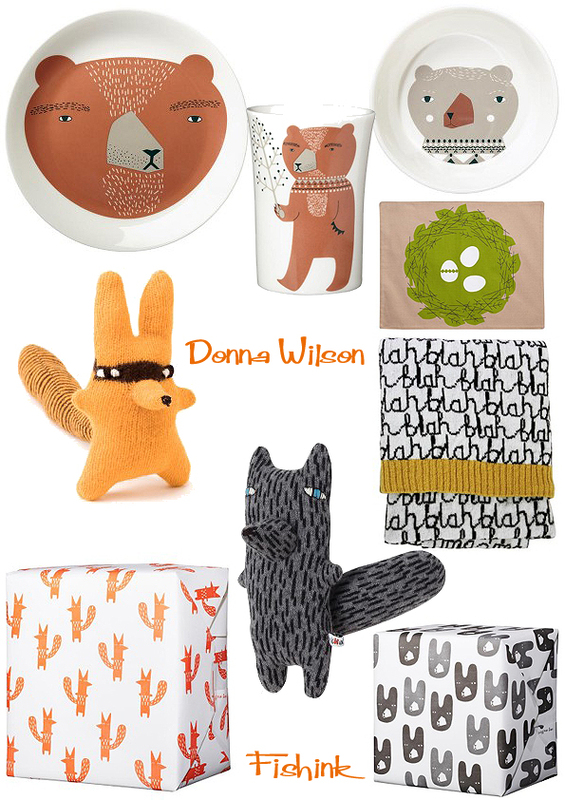 Established in 2003 Donna Wilson‘s company has gone from strength to strength and over the years, her work has moved from children’s toys to kitchen ceramics, cushions and interior throws. 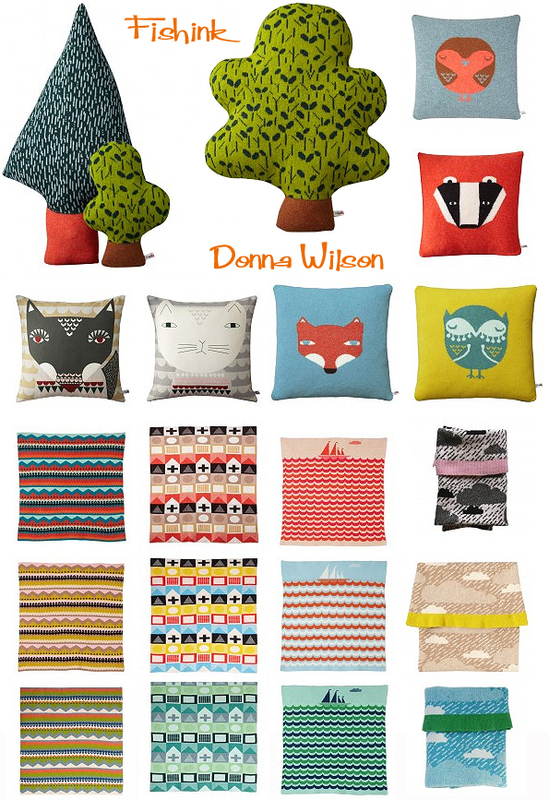 In 2010 Donna won the coveted accolade of ‘Designer of the Year’ at Elle Decoration’s British Design Awards. 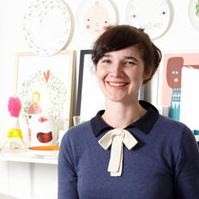 She has exhibited a solo show of knitted sculptures and paintings, entitled ‘Endangered Species’, at the Yorkshire Sculpture Park, designed fun filled scenes for hospital wards and interior fabrics for children’s prams and fair trade rugs made by Node. Her masked Fox is a favourite of mine, he looks ready for a little ‘stand and deliver’ don’t you think. 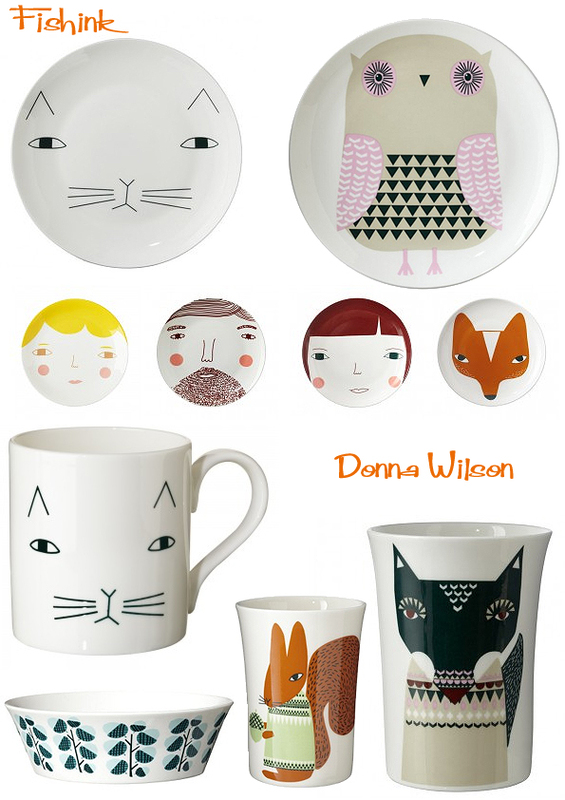 Donna’s ceramics are fun and playful. 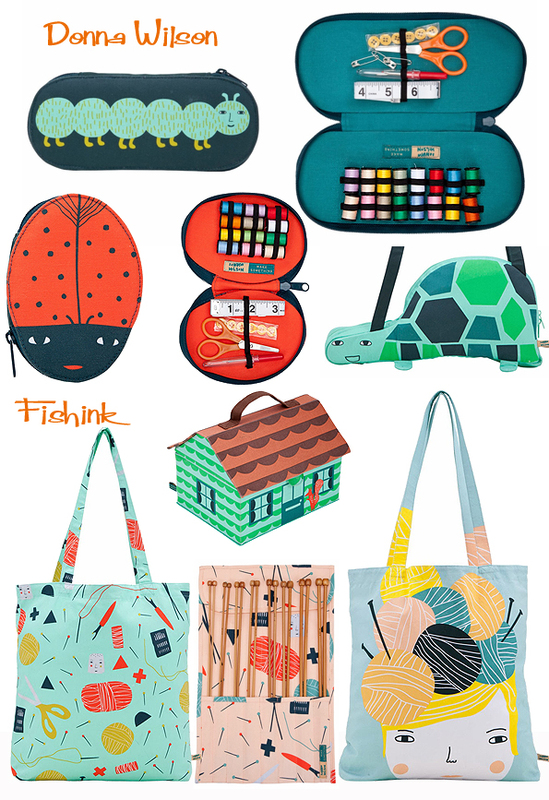 With a childlike style they have a strong draw for kids and adults alike. Why not have a fox mug and tea towel to match ? 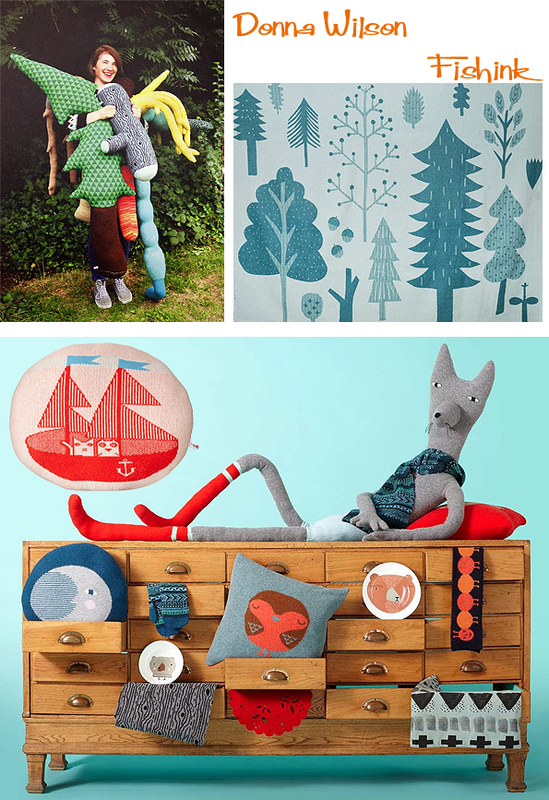 Or there’s a superb array of cheerful cushions and throws to suit all tastes and interior colour palettes. 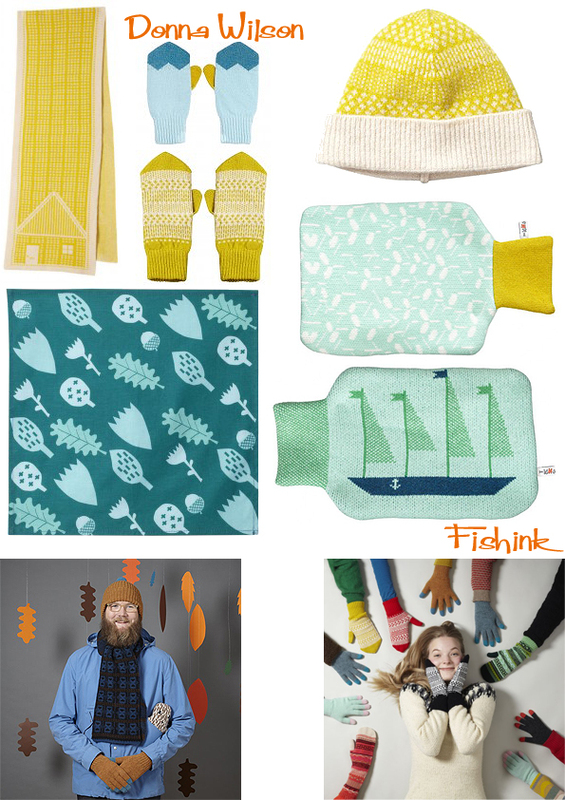 Hats, scarves and socks for these chilly wintery days, and hot water bottle covers for the nights ! Brrrr. 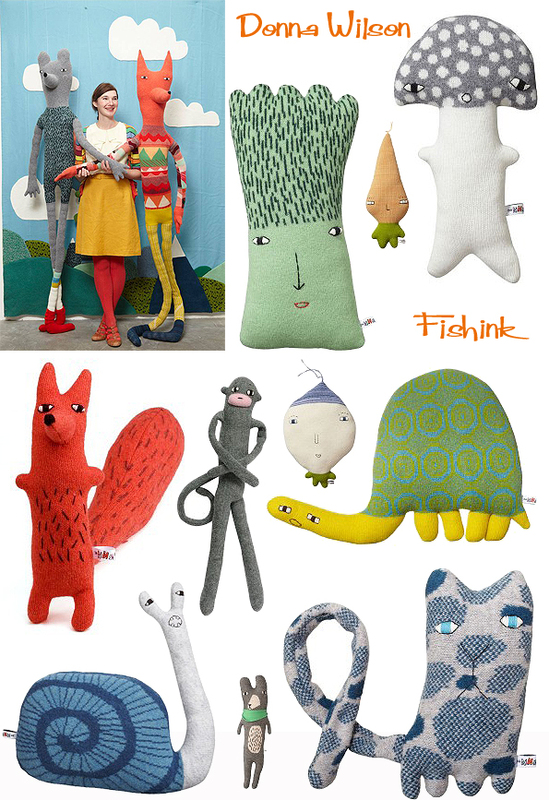 Vegetable creatures.. who would have thought it ! It’s well worth visiting Donna’s Blog site too as she’s kind enough to share all of her inspirational photos from her travels on it. There are even features on her latest products like these sewing kits, reminding us that the huge revival for making things at home is still going strong. More about Donna in this great video that Uppercase magazine made. It reveals a little more about how Donna works, thinks and creates. 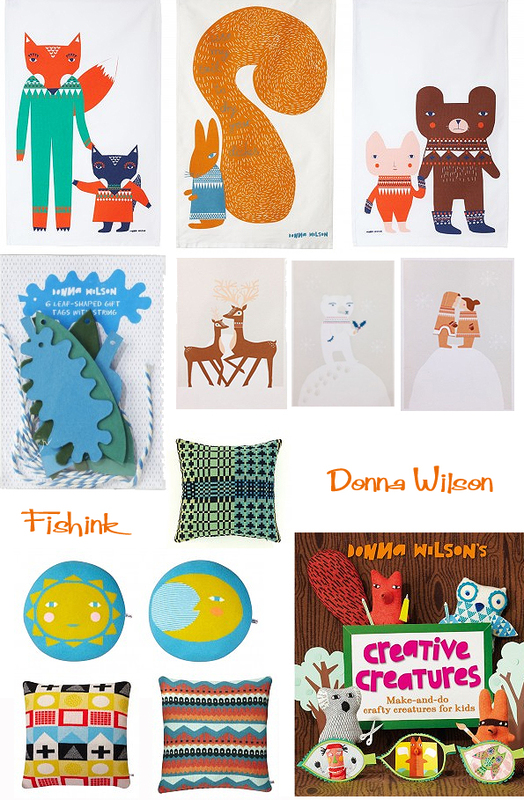 Lovely work Donna, please do carry on designing and keeping us all smiling at the same time. I thought her wrapping paper closely resembled your design style! It does a little perhaps that’s why I like it lol Well spotted. I’m watching the video at this very moment! Interesting!